The Scibè family has been present in the territory of Grottazzolina in the locality of Passo di Colle since 1600. They cultivate part of the hills that divide the valley of the river Tenna from that of the river Ete. The company has always followed the principles of organic farming in crop rotation, adapting it to zootechnical feeding. 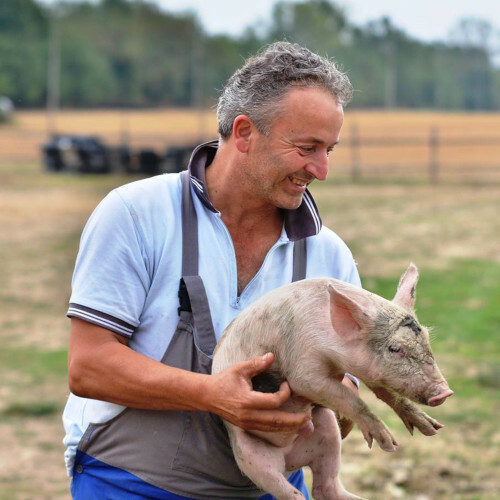 Since the early 1990s the organic meat production chain has been completed by a direct point of sales in the company and on request the home distribution of certified meat is also available.